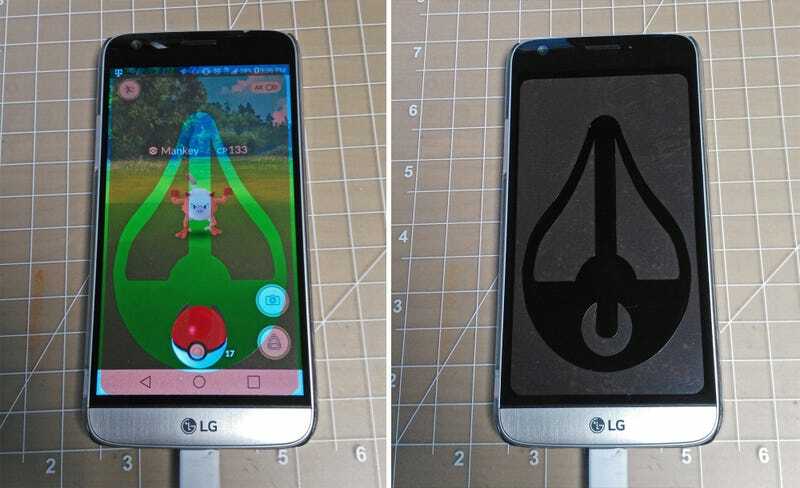 Now that Niantic has taken a lot of the fun out of Pokémon Go, you have even fewer reasons to feel guilty about finding out-of-the-box ways to improve your game play (translation: cheating). A clunky 3D-printed smartphone case is one solution, but a finger-guiding invisible screen protector is a much better way to go. Invented by Johnny Lai, the Supershot Go sticks to your smartphone like other screen protectors do, without leaving a gunky film behind when you remove it. 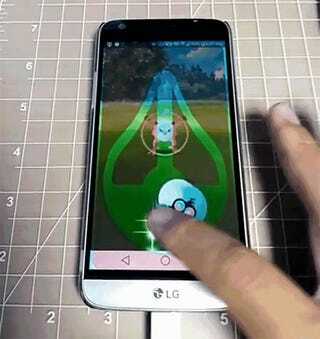 But instead of providing screen protection, the Supershot Go, which is thicker than most screen protectors, features physical grooves you can use to guide your finger when throwing pokeballs. It works with straight throws as well as with fancy curved tosses, which improve your chances of catching the Pokémon you’ve targeted. Available for smartphones with screens larger than 4.3-inches (measured diagonally) the $8 Supershot Go is completely clear (the red version was created specifically for the product shots) and still allows full access to your device’s touchscreen while it’s installed. So the only time you need to remove it is when you finally get tired of catching Pokémon, or when the next official update makes the game even less enjoyable.